Coopers Brewery Limited is the largest Australian-owned brewery based in the Adelaide, suburb of Regency Park. They are well-known for making a variety of beers, the most famous of which are its Pale Ale and Sparkling Ale. They are also one of the world's largest producers of home-brewing equipment. 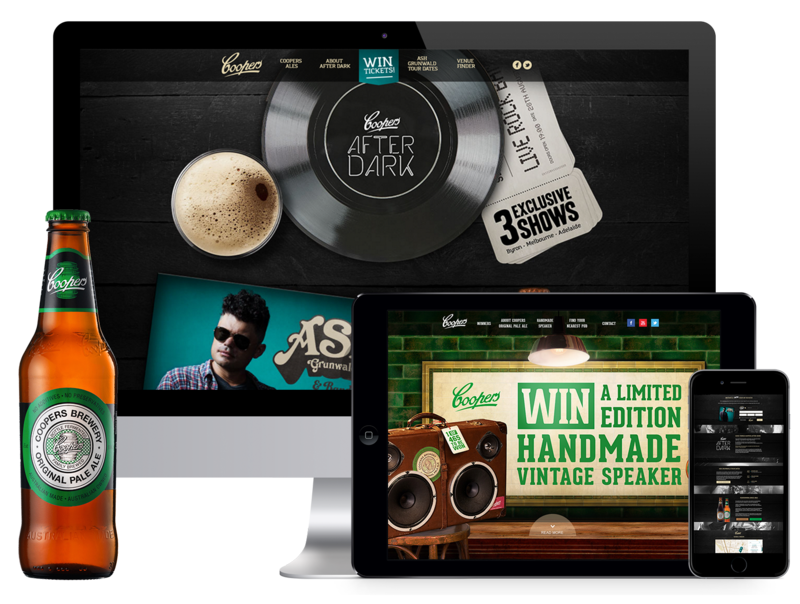 Through Coopers' Pale Ale Promo site, we maximized their online visibility, attracted suitable web visitors and converted consumers to make positive purchasing decisions for Coopers. It had enabled the beverage company to build relations with target customers and prospects through this low-cost personalized communication. At the same time, the web platform enabled them to sell their ale in any part of the country without setting up local outlets, and thereby widening their target market. The platform also built relationships with customers and increased customer retention levels.